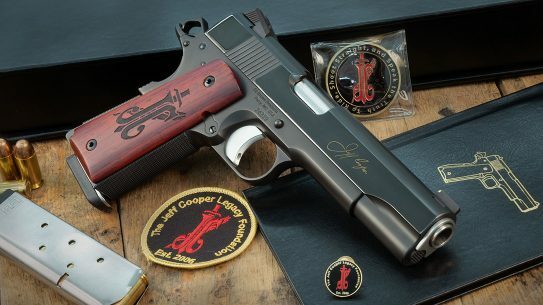 With an overall length of only 23.25 inches, the author’s ultra-compact “Komp” SBR is fast on target and easy to manuever in extreme close quarters. 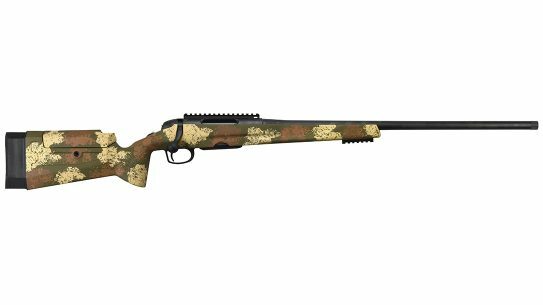 The author chose an Anderson Manufacturing Sporter upper because it lacks an ejection port cover and forward assist, reducing weight. 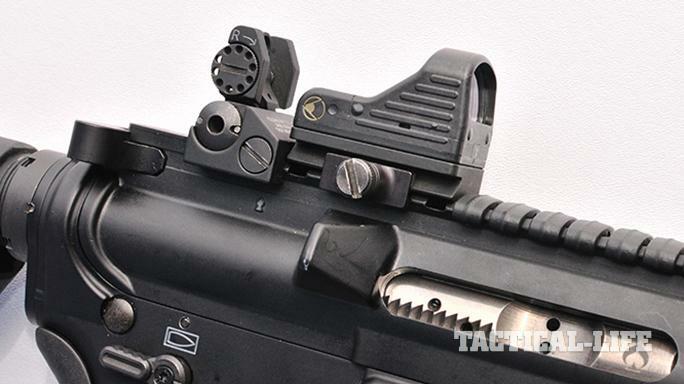 For aiming, the author prefers to pair an EOTech MRDS with Troy’s Micro Folding Battle Sights. The A2-style flash suppressor tucks inside the BCM KMR-A forend. 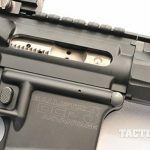 The build uses a quality Ballistic Advantage lower with an ambidextrous safety. 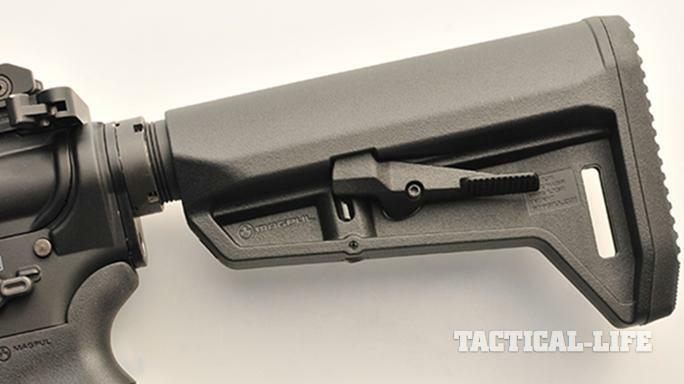 Magpul’s MOE SL-K stock is a sleek option for CQB. 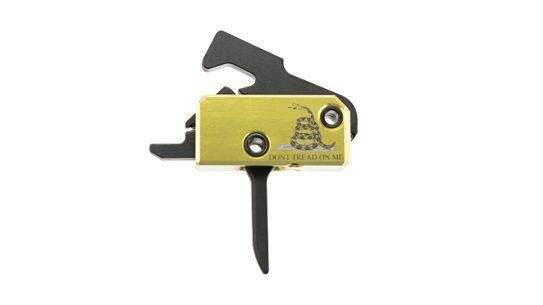 The Geissele SSF is a non-adjustable, combat-style, two-stage trigger. 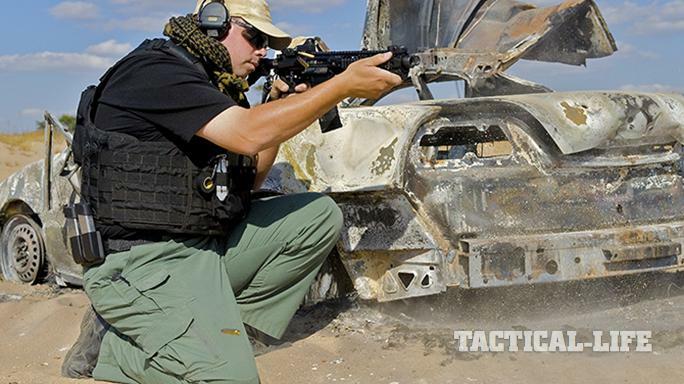 To aid in concealability, the author prefers to run his custom carbine with 20-round Magpul PMAGs. 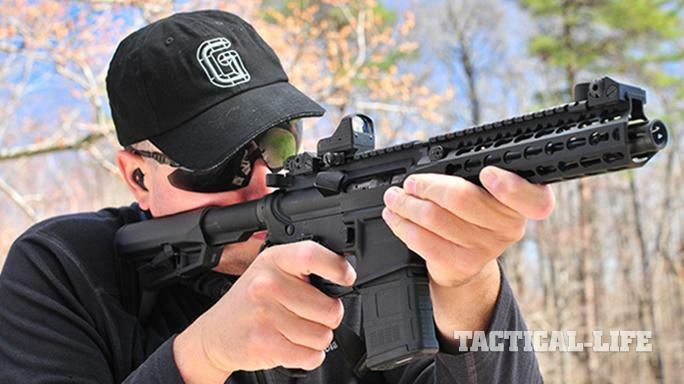 For more than a decade, I’ve been testing short-barreled rifles (SBRs) of all lengths. By the time I got into magazine writing in 2005, I was focused on proving that SBRs were far more accurate and reliable than they were given credit for. My friends warned me about being a one-trick pony, but I’m glad I didn’t listen, because I started taking SBRs to classes and smacking ABC-zone targets from 200 yards regularly. Flash-forward to 2016 and suddenly AR-15 pistols aren’t just a thing but are now mainstream. 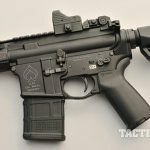 I scoffed at AR pistols at first but quickly saw them for their worth as SBR surrogates. 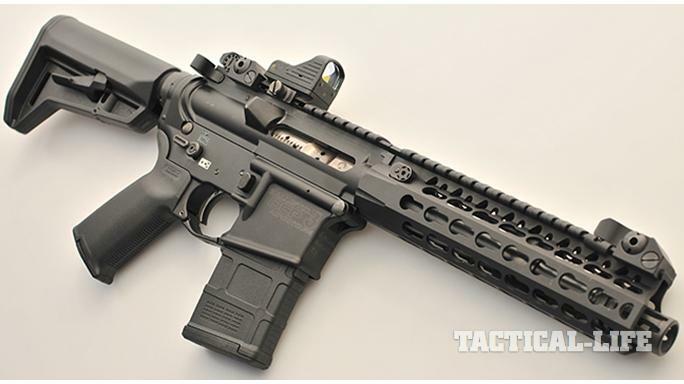 No one SBR captures people more than the 7.5-inch-barreled variants. Many years ago, I worked with Spike’s Tactical to develop a rifle that I called the Kompressor. 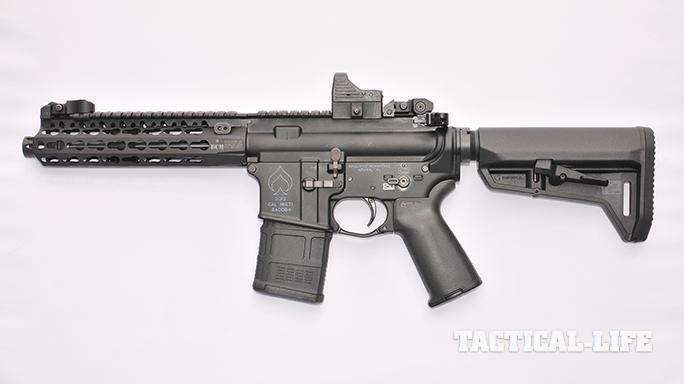 The German word “Kompressor” loosely means supercharger, and this SBR employed one of the first high-pressure muzzle devices back in the day, so the name was a perfect fit. We were attempting to compress the gas system and simulate the same backpressure found in a 16-inch-barreled rifle, but do it out of only 8 inches. In doing this, you create a rifle that’s consistent and reliable. The original proof-of-concept rifle had various custom components that turned it into a bit of a diva. 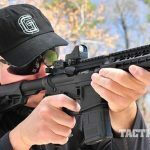 Spike’s Tactical then chose to make it a dedicated suppressed rifle, and that’s where the design went off the rails and I stepped out of the project. They also changed the name to “Compressor” due to the potential Mercedes-Benz infringement issues. I parked the Kompressor, or “Komp,” in the corner and didn’t look at it for years. 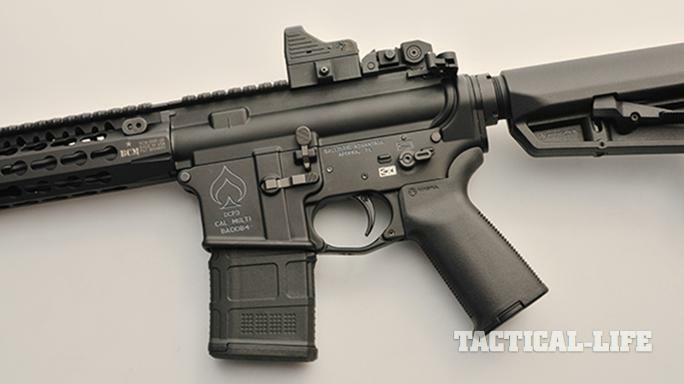 But last year’s AR pistol boom got me thinking about the Komp again. 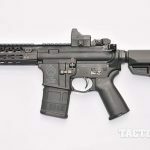 I’ve always said that if I could have only one rifle, it would be an 11.5-inch-barreled SBR because it’s the best balance of CQB and long-range capabilities. However, to that I’ll add that if you’re really looking for a “room broom,” then a 7.5-inch-barreled SBR is the way to go. I decided to build a new version more recently. As is the case with every build, I start with the barrel. The original barrel for the Komp was a pricy custom job around 8 inches long. It was a fluted work of art, but it was expensive and a whole lot of overkill. 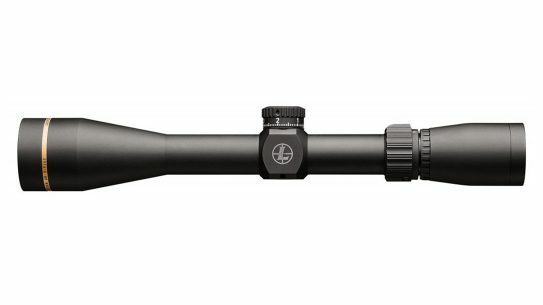 I went down my short list of criteria for this resurrected Komp, and the simple answer was to go with a 7.5-inch, NATO-spec barrel. I used to use 416R .223 Wylde barrels for their accuracy at distance, but I got over that with training and research and now only need my rifles to deliver “minute of bad guy” accuracy. For this Komp resurrection, I restricted the build to strictly off-the-shelf components so that maintenance would never be an issue. Everything eventually requires maintenance. If you have to order components from a specific manufacturer, then you’re in trouble should that manufacturer go out of business. I’ve been around long enough to actually see that happen. 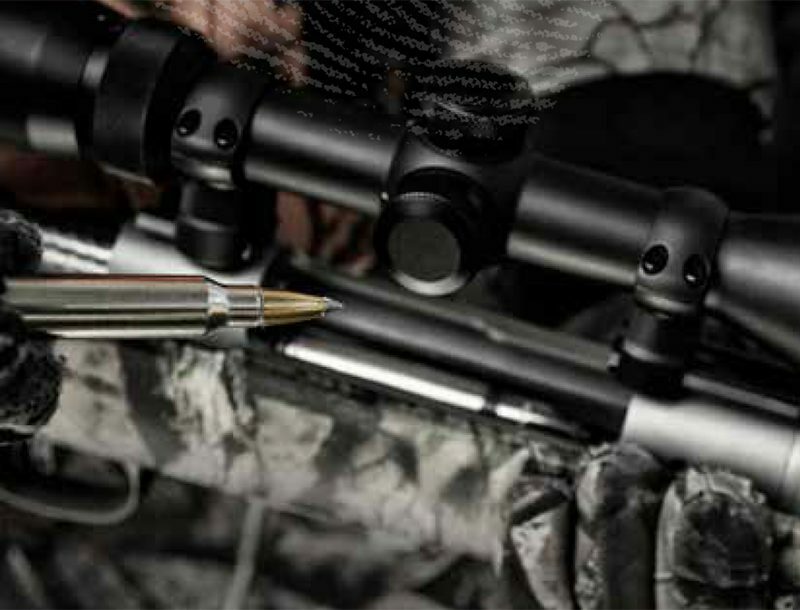 I chose a 7.5-inch, 4150 chrome-moly-vanadium, QPQ-finished barrel from Ballistic Advantage. 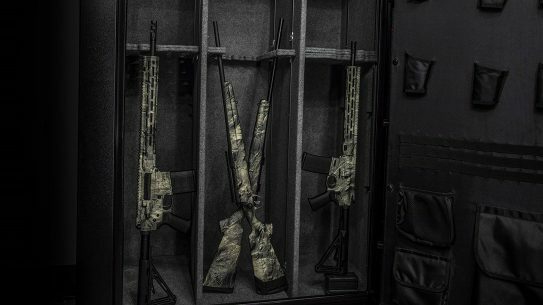 I’ve been building with ARs with this company’s barrels for a long time and have seen what they can do. 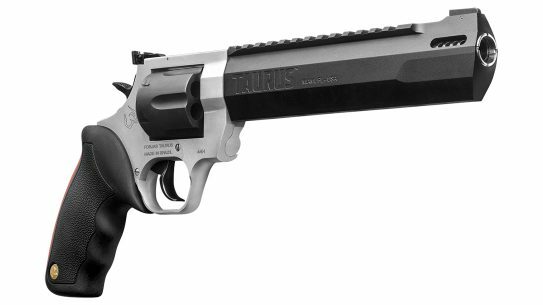 The Hanson profile on this 1-in-7-inch-twist barrel makes it a bit heavier than government-profile barrels. 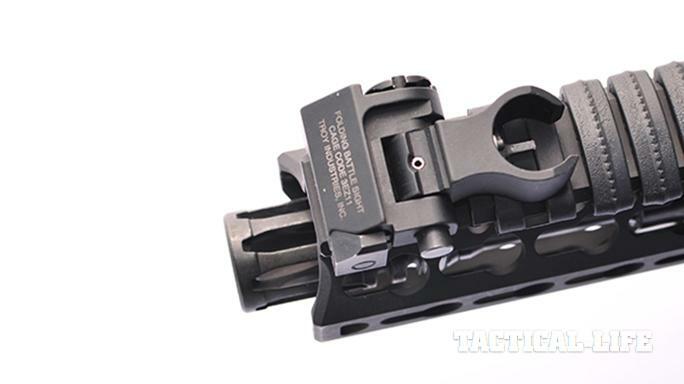 This heavier profile helps the Komp shoot tight groups even out to 50 yards, which is saying something for such a short barrel. 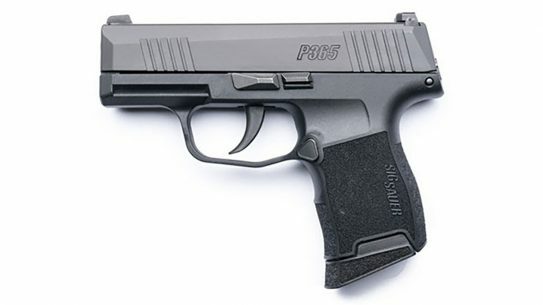 The weapon shoots smoothly even though it uses a pistol-length gas system. 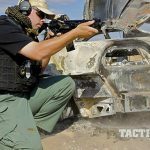 This is due to the fact that Ballistic Advantage gasses its barrels correctly as opposed to over-gassing, which is the industry norm. 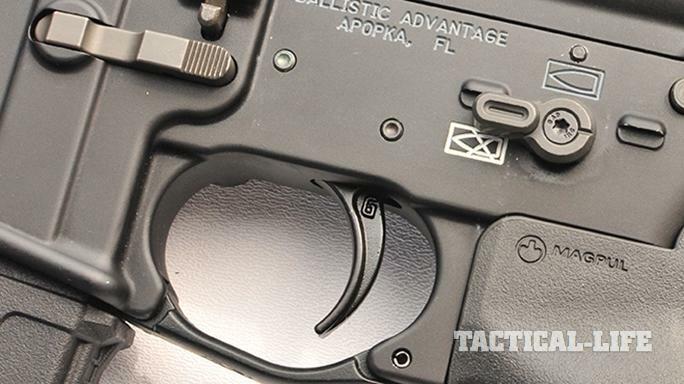 For a muzzle device, I wanted one that sent all of the gases straight forward so I could tuck the whole thing inside the handguard without worrying about blasting the inside of the handguard or burning my hand. During testing, I ran high-speed video and found that the A2 flash suppressor sends the vast majority of its muzzle flash and overpressure forward. Very little of this energy is actually vectored upwards through the birdcage. Ultimately, this allowed me to only have to leave a half-inch exposed for blast clearance. I also found that the A2 unit cools faster than most muzzle devices. Not to mention that it’s very light at 2.2 ounces with its crush washer, and it’s only $8. So, this turned out to be a win/win. 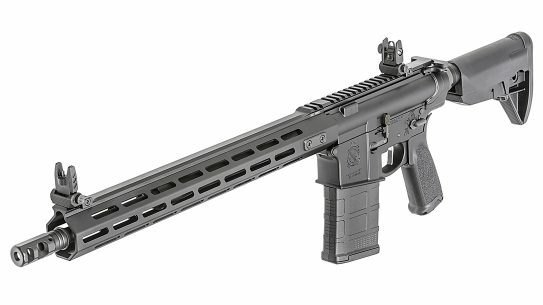 The obvious choice of a handguard for a slicked-down CQB weapon is the BCM KeyMod Rail-Alpha (KMR-A). Much has been written about the KMR-A platform, so allow me to just say this. I like this handguard because It goes on straight every time and is tough as nails. It’s light, comes in multiple lengths, is usually in stock, and now with the all-aluminum Alpha version, the price tag is unbeatable. I went with the 8-inch KMR-A because it allowed me to have the tight muzzle clearance I was looking for. 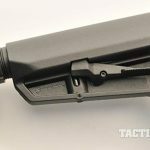 To hold these components together, I chose a Sporter upper from Anderson Manufacturing. 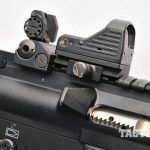 The conspicuous lack of an ejection port cover and forward assist make for an upper receiver that is not only lightweight but also aesthetically trim. The missing components aren’t necessary and only add weight—something I was trying my best to keep out of the equation. 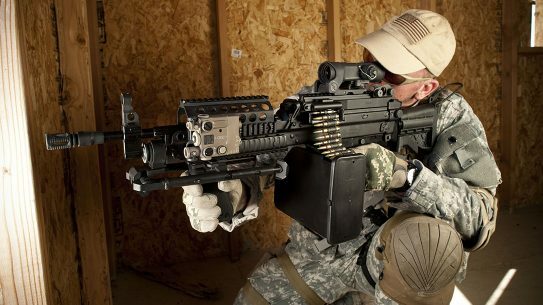 Oh, and this upper costs half of what most mil-spec uppers do. I chose to go with a Ballistic Advantage lower for this build because I wanted one that would play nice with all of the full-auto components I was planning on using. 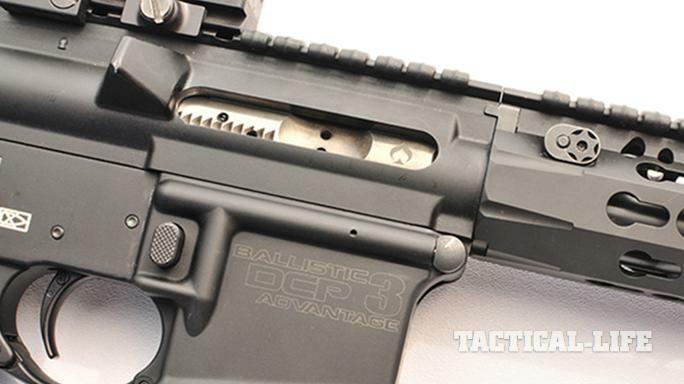 Shooting in full-auto is a tough task, and you need to know that your lower is up to it. The only difference between a select-fire weapon and a semi-auto one is the auto sear, as indicated by that third pin you see above the safety. 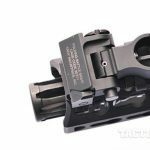 The machining process is not particularly difficult, but if your lower receiver is out of specifications, it makes the sear fitting process a bit of a pain. 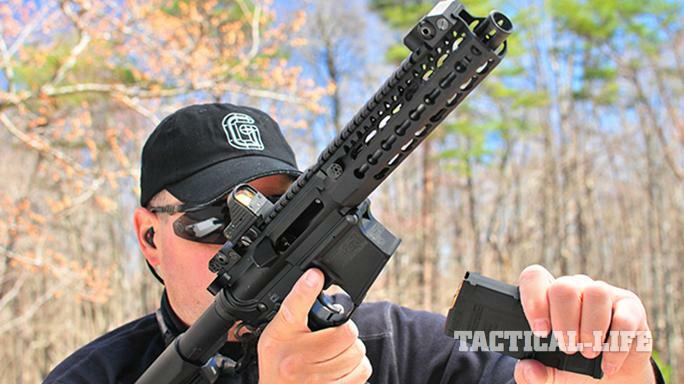 Typically, when you go full-auto, you have to give up performance triggers. 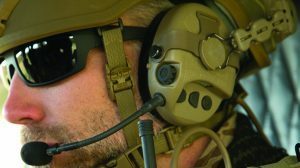 But that isn’t the case with Geissele thanks to its Super Select-Fire (SSF) trigger, which was developed for the U.S. special operations community. 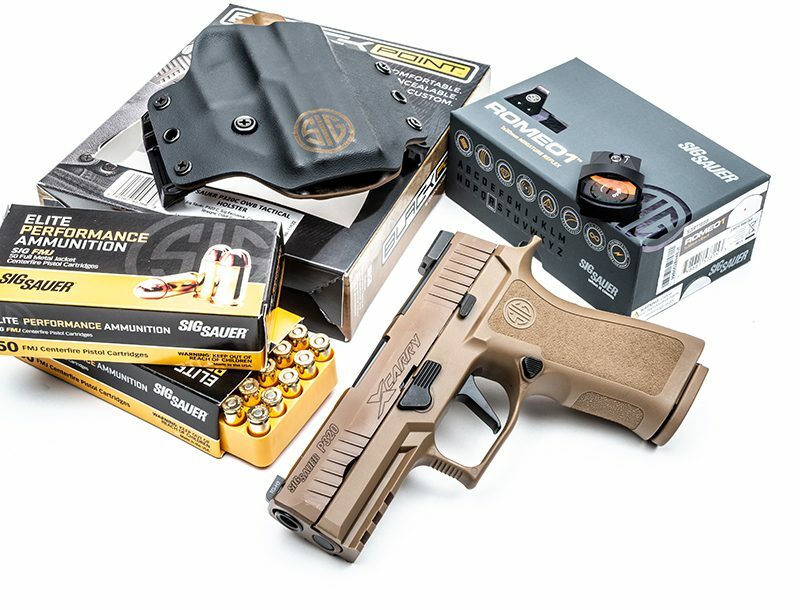 The SSF is a non-adjustable, combat-style, two-stage trigger that goes from 4.5 pounds in semi-auto mode to a crisp, single-stage 6-pound pull in full-auto mode. 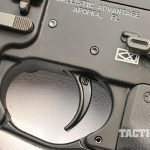 For the safety, I chose Battle Arms Development’s Combat Ambidextrous Safety Selector-Full Auto (CASS-FA). The levers are detachable and interchangeable on both sides for maximum flexibility and user preference. There are a total of nine lever designs and 81 possible lever combinations. People always think that only us lefties need ambidextrous safeties until they take a high-round-count class. Then they get it. Your safety should be swept off with your thumb and on with your trigger finger, regardless of your strong-hand orientation. My choice of mags and furniture for this build were never meant to be anything other than Magpul. 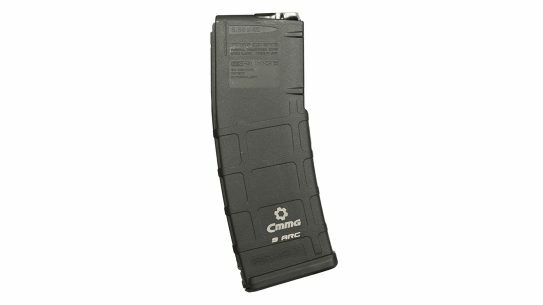 The mags and grip are fairly straightforward, but the one component that really makes a difference in how you transport this weapon in a concealed manner is the MOE SL-K stock. The MOE SL-K is small enough to allow the Komp to fit into a 5.11 Tactical sling pack with room to spare. The MOE SL-K meets the Komp’s mandate for compactness without having to change to a custom stock/tube system. During the initial layout of the Komp, I chose to forego the optic so that the gun could sit indefinitely in stasis as a truck gun without needing battery maintenance every six months. However, the truth is, if you can have an optic, then you should. Red dots are the difference between aiming at your target versus looking at your target. The EOTech MRDS has been one of my go-to optics for almost a decade. It’s only Achilles’ heel is that the lens is made of polymer. 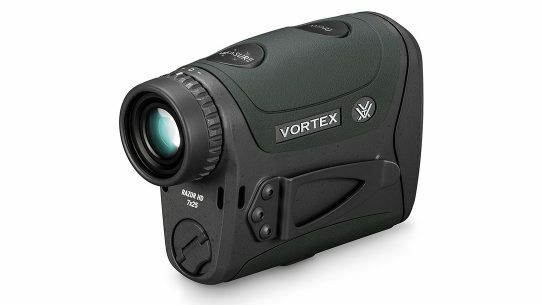 If EOTech were to make this lens out of sapphire-coated glass, this thing would be about as perfect as it gets. 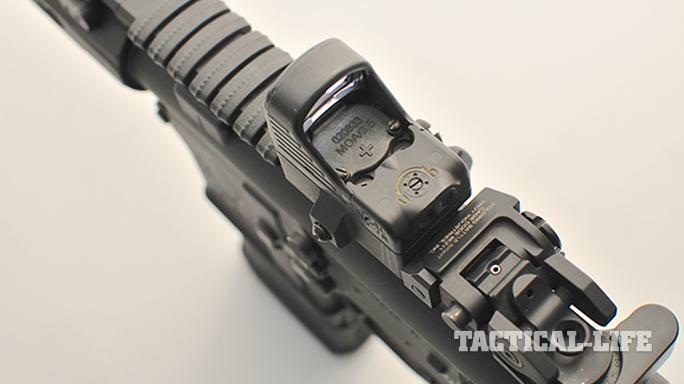 The 3.5-MOA dot is crisp and self-adjusts to most lighting conditions. It’s waterproof and holds its zero well. Because the MRDS is a low-mounted optic that sits on the Picatinny rail, it calls for backup sights that are equally as low. 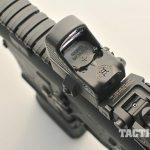 For this I chose a set of Troy Micro Battle Sights. 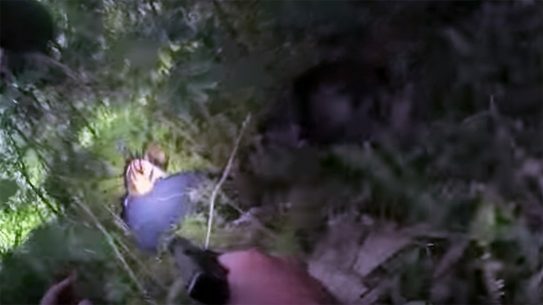 They produce a dead-center co-witness sight picture that works well. Aside from zeroing the custom Komp at 50 yards, I rarely shoot it beyond 30 feet because of its CQB parameters. I tested the gun with its usual carry ammunition—55-grain Black Hills FMJs—and regularly produced five-shot groups in the 0.25-inch range at 50 yards. I use these rounds because they’re light, fast and consistent. The velocity loss through a 7.5-inch barrel is considerable. When you shoot steel as much as I do, you learn to gauge velocity based on the sound and reaction of the steel plate. 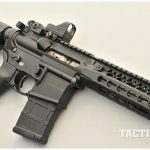 When I hit steel with an 11.5-inch-barreled SBR shooting 77-grain Black Hills MK262 OTMs, the target swings violently even at 100 yards. If I do the same thing with a 7.5-inch barrel, the plate lazily swings over. Even at close range, the velocity is fairly low. However, if I switch over to 55-grain ammunition, the plates swing fast and hard. 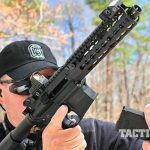 Simply put, velocity is what the .223/5.56mm needs to effectively do its job. I sincerely hope I’ve helped some of you get off the fence about getting into an ultra-compact SBR like the Komp. 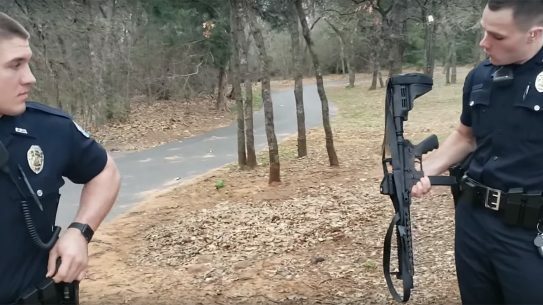 No, this isn’t a factory-made rifle, but you can build it on your own. The key to doing this is making sure that you’re not cutting corners on your parts. You have to spend money on quality components, and right now it’s a buyer’s market. So get on it!